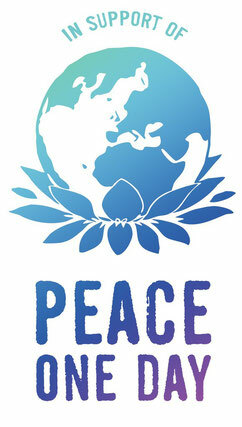 Peace is only possible with the collaboration of the world’s faiths. Who will you make peace with? This is the powerful question for Peace One Day 2013. However, before we can make peace with others, how can we make peace with ourselves? The Peace One Day Faith Coalition will see the largest ever mobilisation of the world’s religious and spiritual communities towards peace, with Religions for Peace International as lead partner. Reconciliation and peace are at the forefront of religious and spiritual traditions whether it is about resolving an argument or conflict with a loved one, colleague or relative, or having compassion for yourself. We will be working with hundreds of interfaith bodies, representative groups, houses of worship and preeminent religious and spiritual leaders to create the largest prayer for peace in the world. What is your Prayer for Peace? Stories of reconciliation and unity connect, inspire and empower us as individuals and communities to work together. If we can make peace with those around us, this message will impact upon the lives of millions worldwide. 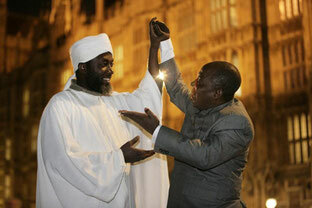 Pastor James Wuye and Imam Muhammad Ashafa (pictured), once enemies, are now passionate advocates of peacebuilding and interfaith reconciliation. They have put aside their past grievances in the name of peace and personify the Peace Day 2013 theme: Who will you make peace with? Pastor James Wuye and Imam Muhammad Ashafa will be joining the Faith Coalition as Faith in Peace Ambassadors and play an important part in creating the Prayer for Peace. In the 1990s, Imam Ashafa and Pastor Wuye led opposing militias in Northern Nigeria. Now the two men work together bridging religious conflicts that have killed thousands. In recent decades, tens of thousands of Nigerians have been killed in communal clashes between Christians and Muslims. "We formed a militia to protect our people". states Pastor Wuye. "My hate for the Muslims then had no limits". The victims of his militia included Imam Ashafa's spiritual leader and two cousins. The Imam spent three years planning revenge. Then one day, a sermon on forgiveness changed his life. The two men met and "gradually the relationship began to grow". They played a leading role in negotiating a historic peace accord. As Imam Ashafa explains, "even though we differ in some theological issues, we will make the world a safer place". Together in 1995 they created the Interfaith Mediation Center (IMC) in the State of Kaduna in the northern Nigeria. The Interfaith Mediation Center (IMC) trains teams in conflict resolution throughout Nigeria. They lead seminars and workshops in schools and universities on subjects from democracy to interreligious dialogue. Religion as a factor of rapprochement is presented as part of their method. The IMC works with women, youths, religious leaders, and political heads. Two of the Centre’s many achievements are contributing to appeasing tensions during conflicts in Kaduna in 2002 and in Yelwa (in the Plateau State) in 2004.